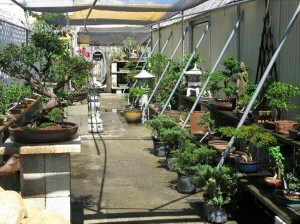 You are here: Home \ DIY Green \ Environment \ Going Green \ Health \ Bonzai trees : Seek the ultimate tranquility! 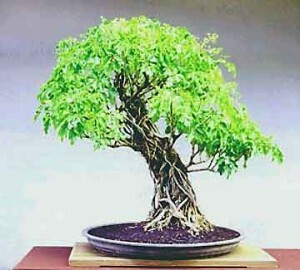 Bonzai trees : Seek the ultimate tranquility! Miniature, chic and traditionally elegant. That’s what bonsai trees are all about! ‘Bon’ is the name for the low sided pot and ‘sai’ means the planting/plant. The earlier Chinese term for bonsai was penzai. 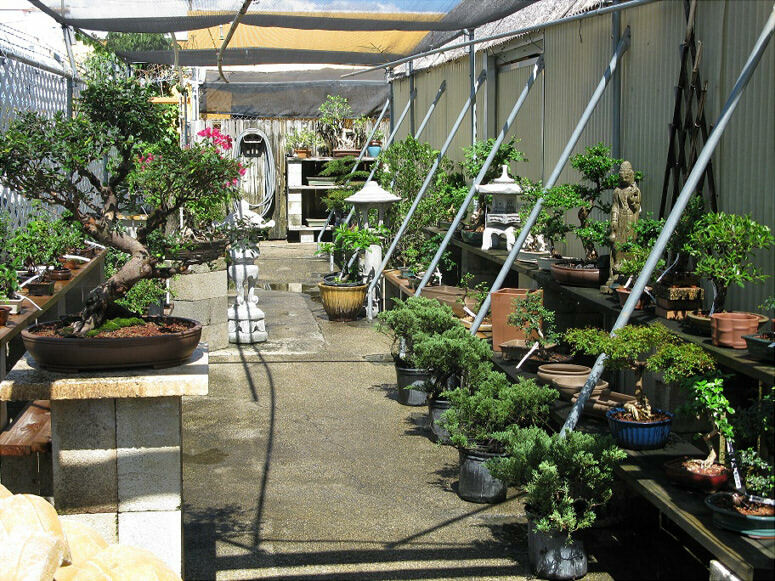 The traditional Chinese practice of growing bonsais is basically a cultivation that could be long term and also includes the shaping of little trees in the low-sided pot or a simple container. 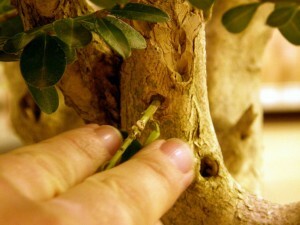 The entire cultivation includes root and crown pruning of the miniature plants. It is indeed a very artistic hobby, I must say! 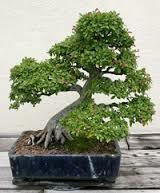 Bonsai culture is also mistaken for the term dwarfism. But, dwarfing is mainly for creating the genetic miniature species of the species of trees that already exist. But, Bonsai trees are different. Penjing is a Chinese practice from which the Japanese term of bonsai originated. Bonsai was termed as garden architecture by Chinese poet Kokan Shiren. 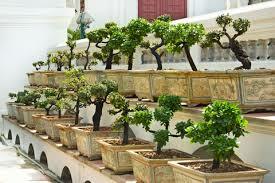 The culture of growing these trees was also related and associated with a religion called as Zen Buddhism. It was during the Kamukara period that Japan welcomed some of the Chinese cultures. That’s how bonsai got popular and is quite popular around the globe. The most common trees that are used in this culture are the ones which change their colors during the different seasons. For instance, the maple trees, plum and cherry trees. The tallest bonsai would be around 3feet in height but most of them are so tiny that they fit in your palm! The containers or bon that are chosen for this are mostly dependent on the shapes or sizes of the trees that we wish to grow. The only intention of growing these little trees is only as a hobby or on a traditional perspective, to give the trees- our respect and love. 1) Water the bonsai trees regularly! Do not let too much water gush inside the pot. Water them as and when needed so that the top soil doesn’t get dry and always remain moist. 2) Where should they be placed? It’s a natural thought that bonsai’s being small must be grown indoors. But, this is not true. Trees grow well-nourished and do best only when they acquire natural and fresh air that is readily available outside. You can also keep them on the window sill to avoid the little plantings being trampled due to recklessness. 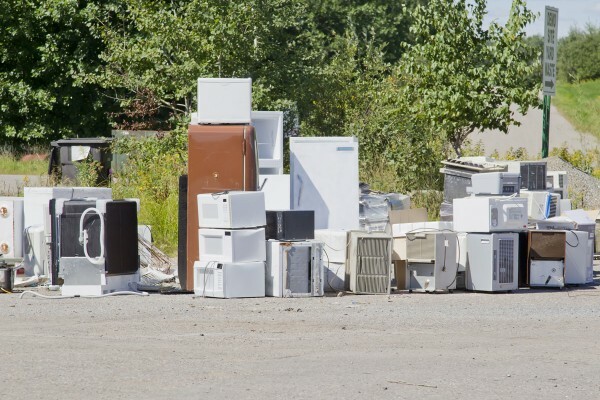 You can also keep them inside during the cooler seasons and outside when it is warmer or during the summer. The different varieties/species of bonsai! Most of the bonsais grown are of the juniper trees. This became extremely popular through the movie ‘The karate kid’ and hence came to be popularly known as ‘the karate kid’ bonsai. If you’re a beginner and are wondering which tree you want to initially start with, then this is the right choice. This bonsai is basically for beginners as it is found to be very easy to grow and doesn’t require advanced care. This is a very spiny tree that has compound leaves and hardwood. Its unique feature is the prototypical triangular shape that exits in most of the Brazilian rain tree bonsais. This tree demands for a weekly pruning too! Commonly called a an indestructible bonsai, it is preferred and loved by most of the indoor bonsai growers. It has a very good adaptability to low light or the indoor light .Moreover, there is extreme care necessary in growing this bonsai tree. Every once in a year during the spring, all its leaves are removed and placed in the sun to help its leaves to grow a little smaller in size. 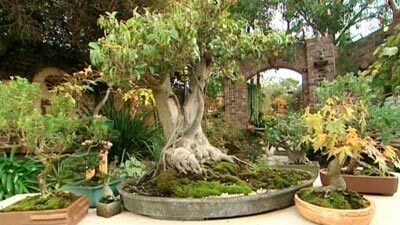 What are the benefits of growing a bonsai in your home? Here are some of the health benefits that will leave you startled and encourage you to grow one in your home too! 1) Working on this relaxing hobby or growing bonsai trees at home can help you improve your health and lets you live a peaceful life. 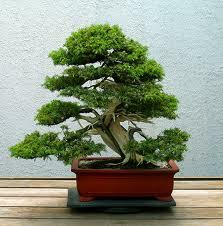 2) The regular water, trimming, pruning that the bonsai requires will help you augment your personal patience level. 3) When you grow bonsais at your home, you can even prevent yourself from being victims to common cold, coughs or even sore throats. Thus it keeps you happy and healthy, altogether. 4) When you grow a bonsai at home or your workplace, it even helps in freshening and purifying the air inside. 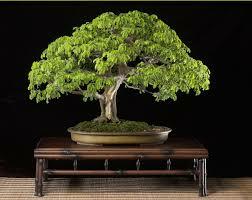 5) The beauty of a bonsai tree is that it grows old with you as it can live for about a hundred years! Isn’t it wonderful to admire your little creation that helps you attain the zenith of a tranquility you’ve always been looking for! Having read all these benefits, I’m sure you must be just as enthralled about the incredible features of a bonsai as I am. It is indeed an incredible, peaceful and an ultimate awe-inspiring hobby.